For almost a week, I've been operating on the assumption that once I got my PICC line, I'd be able to go home. My cardiologist had assured me this would be okay--in fact, he pointed out that I was more likely to get an infection on the temporary pacemaker if I stayed in the hospital. Late afternoon yesterday I wandered down to one of UCLA's older cafeterias to get an iced mocha. Simple pleasures attain great significance in demoralizing institutions. 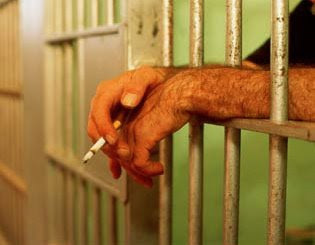 In prison, cigarettes are worth their weight in tobacco, nicotine, paper, cellulose acetate, rayon, and tar. The cafeteria iced mochas are not surprisingly not great. I walked back to my room through the new hospital's cafeteria (called the "Dining Commons") and noticed that it actually had a small Starbucks stand. How had I eaten there many, many times without noticing this little gem? I stared at the unsatisfying cafeteria mocha in my hand and decided that I was stuck in the hospital and deserved to treat myself to a real iced mocha. So I bought a Starbucks iced mocha latte as well. Venti, baby. I loaded it up with half and half and sugar--only to discover to my chagrin that it, too, was somehow inadequate. Clearly I'd only thought I wanted iced coffee. Simple pleasures become less simple....So I bought some chocolate chip cookies and headed back to my room to watch the Mets game on ESPN. 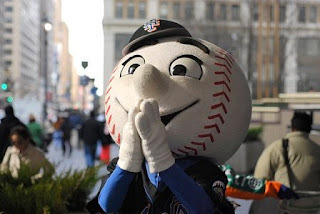 Sick children in New York inevitably become Mets fans because of the team's infirm mascot, Mr. Met, a hydrocephalic. 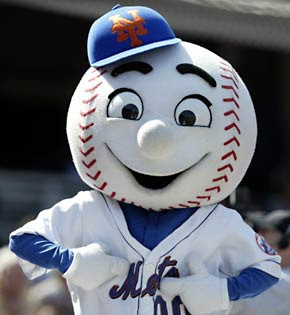 Despite his hideous hemicraniectomy scars, Mr. Met puts on a smile--and a show--for his beloved Metropolitans! Oh, no! He must have been praying to the devil! The large structure on the hilltop is the Getty Center, one of my favorite places in LA. Needless to say, the picture doesn't do the view justice. Streaks of low-rolling, sun-streaked clouds caressed the hills. No doubt the light was moodily enhanced by the Santa Barbara brush fires. I couldn't help but feel hopeful on the eve of my release. The spectacular presence of Los Angeles endured; my confinement could not. This morning one of my cardiologists came in and seconded the surgeon. He said they really never let people go home with the temporary pacemakers, and he reiterated the catastrophic, if slight, risks. He also said, "What's five more days in the hospital?" I suppose he has a certain logic there. A Taoist sort of In-N-Out kind of Brahman-is-Atman McNugget. 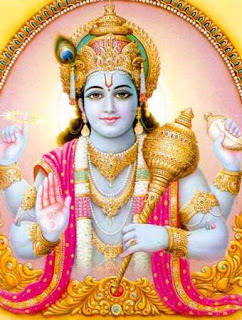 The Taittiriya Upanishad says: "He who knows the Bliss of Brahman...does not distress himself with the thought, 'Why am I stuck in the hospital? What's another five days?' Whoever knows this (bliss) regards both of these as Atman." So it looks like I'm stuck here at least another week or so. If I can go a few days past that, I'll make it a full month. As far as I know, Lewis and Clark got from St. Louis to the Pacific Ocean in less than a month. Sacagawea readies to give Cpt. 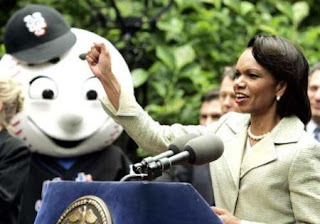 Willaim Clark the "Nyuck-nyuck" eye-poke. She learned from the best, Chief Why-ay-oughta. But, I'm determined to try to use my tenure at UCLA productively. Perhaps I can even do some personal creative writing, now that I know I'm trapped here. As I've always said, "If life gives you lemons, get that fishy smell off your hands." Hey, Will. You may not remember me, but I'm a friend of Caitlin M.'s from college. You came over to my apartment once to have dinner when she was visiting. I think hot fudge was served. Anyway, we also have some friends in common on facebook which led me to your blog. Just wanted to let you know that I'm finding it so interesting and funny despite the crap reason under which you find yourself writing it. I will enjoy it while it lasts and hope that you're home and too busy enjoying life and not being in the hospital to blog soon. You Can't Spell "Extraction" without "Action"